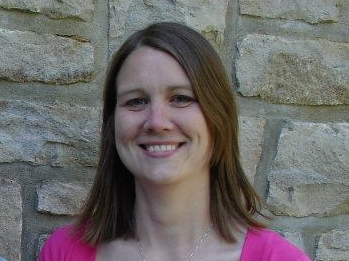 Today we welcome Karen Schlabach as guest blogger. 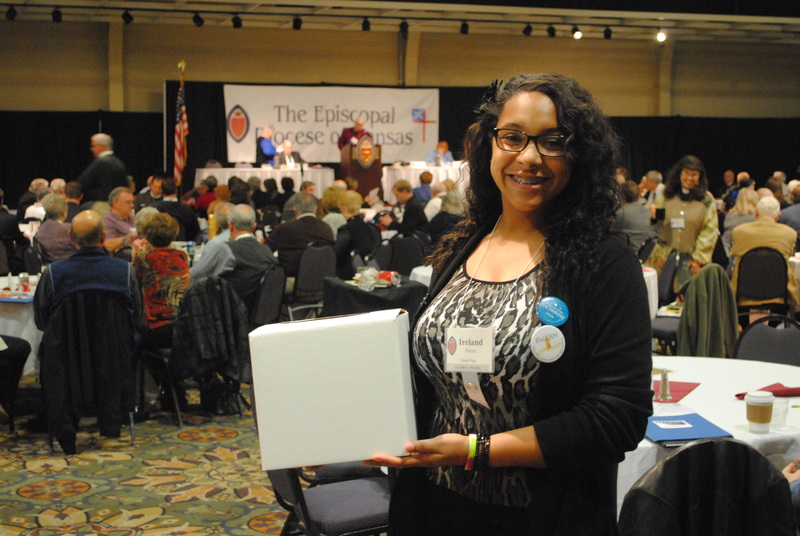 Karen is the Youth Missioner for the Episcopal Diocese of Kansas. She has served in both volunteer and paid positions for parish youth ministries and diocesan youth ministries for eight years. Prior to that she worked in higher education and now has a passion for improving students’ transition from youth to campus ministries. This letter originally appeared in Karen’s Youth Ministry newsletter. I recently had the opportunity to go to the National Youth Workers Convention where the head of Youth Specialties, Mark Matlock, identified five things he thinks Youth Ministry is doing for the Church today. I shared some of these during my presentation at our Diocesan Convention. It strikes me that these are all things that are done, no matter the size of your congregation. My hope is that we are raising young people who are committed to Christ, committed to the Episcopal Church, and have the Christian Leadership experience to make a difference. While I’m on vacation I have arranged for a series of guest bloggers and re-posts from blogs that I have really enjoyed. Today I am pleased to share this blog post by Scott Pontier, Lead Consultant with Ministry Architects. It originally appeared in the Ministry Architects blog on Friday, August 2. The Best Gift in Ministry! Believe it or not, one of the best gifts someone in ministry can receive is a clear, results-based position description. Better than thank you cards. Better than extra days off. Even better than a pay raise. Anyone who truly wants to lead in his or her ministry area knows that such a gift from his or her supervisor is priceless. How come? Because everyone leading in ministry wants to know what success looks like. They want to know how to win. They want to know what it means for them to knock the ball out of the park, to go home knowing they achieved their goals. Most importantly, we all want to know what “winning” means to those who are measuring our performance, which, in most cases, is our boss. One of the ministry teams I have been a part of was not so big on that kind of clarity. We liked to think in terms of “influence” and “teamwork” and “collaboration” and that was about as clear as our job descriptions got. Sure we had something on file, but our supervisor measured our performance in many other ways. This was a gift for those who were highly motivated and creative. Essentially you had permission to simply create your own job description and if it lined up with your supervisor’s vision and if you had a personality that drew other people to you, then you were in luck. Eventually I realized that it was going to be impossible for me to win. I didn’t know what that meant for us anymore. There was no clear target, no “north star” for the ministry. In student ministry that usually devolves into simply looking for “better” or “more” – concepts that can mean different things to different people. That’s when I realized that defining success is important not just for the piece of paper, but for all the audiences involved in the ministry. Yourself. You need to know what success looks like for you and that should line up with your organization’s version of success. I’ve seen people take ministry jobs and try hard to make everyone think the ministry was successful, so that they had the ability to pursue what THEY really wanted. For some of them it was name recognition that they were pursuing, or the latest ministry book they wanted to author, or the band they were in getting a record deal. Be clear about what ministry success looks like to you, and make sure it lines up with your organization’s version of success. The congregation. In the business world, they might say “the customer,” but in ministry we usually have a specific congregation or flock that we are serving in. And make no mistake, you are, indeed, there to serve. Finding out what success looks like the group of people that you are serving with makes a big difference. I’ve seen too many youth pastors who had no idea what their congregation’s version of success was. Usually this doesn’t end well for anyone. For better or worse, every church, every ministry has a collective success story they are hoping to write. Take the time to listen to it. The supervisor. Whether that’s the senior pastor or another staff member, make sure that this person’s vision of your success is crystal clear. I’ve had those times where it seemed like the only line of defense between myself and failure was my supervisor. What would’ve happened if that line wasn’t there? Do the work of clarifying the win with your boss. If he or she isn’t clear on what success means for your position, spend time crafting it together. Unless, of course, you feel comfortable being evaluated on “better” and “more” as measuring sticks. 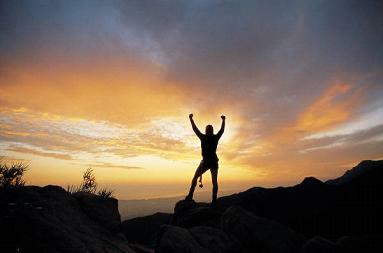 Maybe you are an unstoppable good idea machine that will always propel you forward without ever running out of gas. I don’t know too many of those people. Otherwise you can take the advice of Andy Stanley when he says that progress happens when you “clarify and evaluate” the win. We are all evaluated on something. It might be a feeling. It might be an anecdote. Or it might be a clearly communicated objective. If you want your evaluation to be something that helps make you successful in ministry, work hard to get clear on the win for your position and help your supervisor communicate that to your congregation and staff. At Ministry Architects, one of the things we are great at is writing results-based job descriptions for staff and volunteers for the churches we are working with. We do that, not because we are sticklers for having things written down, but because we believe in our very core that ministries will have the most success when everyone is pulling in the same direction. We know how to help churches win and we know that to do that we need to be clear with everyone on what we are evaluating and what role everyone is playing. You don’t need a job description on a piece of paper hidden in the back of a folder somewhere. But you might need help getting clear on what version of success you and your team are trying to pursue. HINT: Click here for a free sample. In the world of fiction and magic today would be Harry Potter’s 33rd birthday. It’s making quite a stir on social media so I thought I would jump on the bandwagon. We began reading Rowling’s magical series to our sons when Arthur our oldest was 10; the same age Harry Potter was in the first book in which we are introduced to the boy condemned to live in the cupboard under the stairs of the horrible Dursleys on Privet Drive. Bedtime reading has been a generational experience in our family. We read each of the Harry Potter books as they were released, which conveniently coincided with Arthur’s age being the same as Harry’s in each new volume. As the boys became better readers they themselves would take their own turns reading aloud in the kitchen while I prepared dinner, just to get a head start on the bedtime reading. We actually read all seven volumes aloud together, finishing the final chapters on Interstate 90 in Montana as we were driving Arthur to begin his first year at the University in Missoula. But the transformational moment happened for me back at the beginning of our adventure together reading about Hogwarts. Joren, my younger son, was seven years old when we began reading Rowling’s series. Joren has tremendous memorization skills and, even as a little guy, could quote his favorite passages to fill in his father about what had happened in the most recent bedtime reading installment. The passage I have inserted at the top of this post was one of those verbatim pronouncements that he made in the living room. 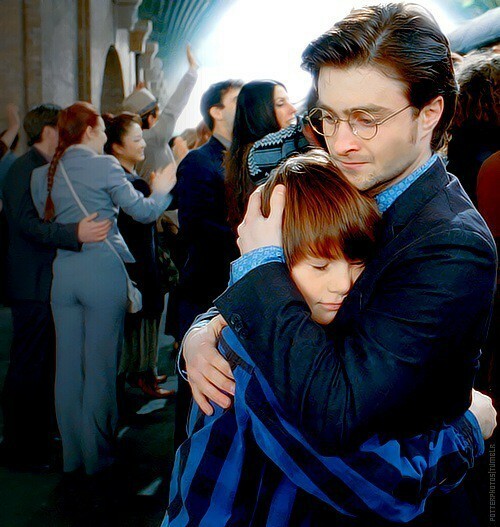 It’s the moment in the final chapter of the first book that helps us understand the gifts and strengths Harry possesses to help balance all that he has lacked in his childhood. Albus Dumbledore is explaining to Harry Potter why Voldemort couldn’t kill him as a baby and why he still can’t kill him now. Joren’s mind captured this concept like a steel trap, reassured at the tender age of seven, that the love of a parent was not to be taken for granted or ignored. He was clearly reassured by this explanation from the beloved professor after the trauma and drama of Harry’s scary encounter with the Dark Lord. Amen to that! I knew he would be just fine. And that moment helped me as a mother and a youth minister recognize the value of doing everything I can, all the time, to cast light on how the Gospel is present in our everyday lives; in arts and literature, in story and action, in living and breathing. The Gospel is in our very skin as baptized followers of Jesus. I’ve included some more Harry Potter links below if you would like to explore just a few of the ways Episcopalians and Christians have employed Rowling’s writing to help teach and preach the Good News. Have fun with them and please feel free to add others in the comments. Church Divinity School of the Pacific is engaged in discernment about youth ministry. Yesterday’s article from Episcopal News Service offers some interesting perspectives. Here are a couple of provocative excerpts from the article with a link for the full text. I would love to read your reaction in the comments below.